A herniated disc can cause back pain, discomfort, or the sensation of numbness in the lower limbs. Though some disc herniations are painless, most are at least somewhat uncomfortable, and at worst can cause pain that is truly debilitating. 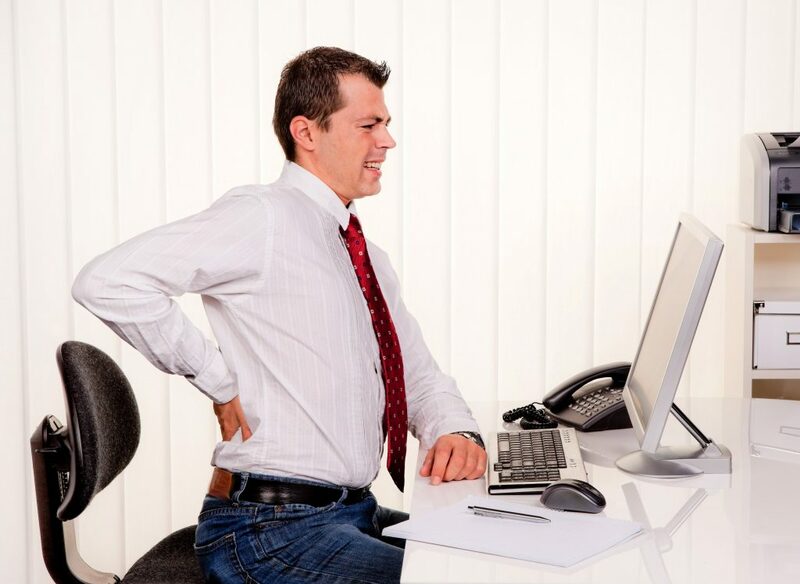 The likelihood of developing a herniated disc in your back increases with age. Though there are some treatments available for herniated discs, the vast majority never require surgical intervention to fix. Rather, they are best treated with a combination of physical therapy, massage therapy, and chiropractic care. This article reviews the best exercises for relieving the pain and discomfort associated with herniated discs, as well as exercises that help to strengthen the muscles of the lower and mid-back that prevent further injury and debility in the future. Any doctor, physical therapist, or yoga instructor can tell you about the very close relationship between the back, especially the lower back, and the hamstring muscles of the legs. Stretching out and strengthening the hamstring muscles also strengthens and stretches out the muscles of the lower back and the core of your body, which are responsible for supporting the spine. Many people with herniated discs note they feel pain, tingling, or a sensation of numbness that radiates down to these areas. It is better not to do these exercises when you are having a flare-up of this pain, but they are great for other times. Some popular stretches that help work the hamstrings include forward folds, a reclining hamstring stretch where the back is on the ground, and the legs extend upward, and many seated exercises where the legs are extended. Spinal decompression is the ultimate exercise for immediate relief from the nerve pain associated with disc herniation. Part of the reason why herniated discs are so painful is the constant pressure our bodies place on the discs, which causes pain when the discs are injured. To perform spinal decompression, find a pull-up bar, a set of monkey bars, or another surface that is 5-8 feet in the air from which you can comfortably hang. Holding onto the bars with a solid grip, allow your body to just “hang” for up to a minute at a time, or for as long as your arms and core can reasonably tolerate. The reason why this spinal decompression exercise works so beautifully is that it removes all the pressure from the herniated disc and creates space between the vertebrae and the discs. This allows any painful areas to be relaxed. Yoga and Pilates are two of the most effective whole-body exercises for pain relief from the sharp and often seemingly unrelenting pain that herniated discs in the back can cause. The movements associated with these activities can remove pressure from sensitive nerves in the low back, providing a soothing sensation and often a great feeling of relief. Beyond this, both yoga and Pilates are fantastic for building back up the strength in the back and core that you will require to protect the back and spine and prevent further disc herniation injuries in the future. Pilates and yoga both help to correct postural alignment and increase the flexibility of your back as well. This improves your everyday comfort, reduces the stress on injured areas, and reduces the likelihood of further injury in the future. Swimming is a recommended activity for all manner of sports injuries and musculoskeletal conditions, and disc herniation is no exception. This is primarily because swimming is a non-weight-bearing activity and does not create undue pressure on the spine or vertebrae due to the water supporting the weight of the body as you swim. Furthermore, swimming is an aerobic activity that has been found to have a role in relieving pain. If you do not have access to a swimming pool near you, you might try walking or biking instead. These are two other low-impact aerobic activities that can help relieve pain in your back from herniated discs. If the cause of your back pain is a herniated disc somewhere along your spine, then using these exercises to aid in your recovery can help reduce your pain and accelerate your healing. Again, if any of these exercises is worsening your back pain or causing shooting pain or numbness down your legs, immediately stop the exercise and seek medical attention. As with all new exercise regimens, discuss any new activities with your chiropractor healthcare provider before trying them for the first time. They can give you tips and tricks on doing so in a way that will not cause or worsen an injury.